Wow! A lot has happened since our last post. We would like to tell you it has been all been good, but when someone likens it to an episode of “This Old House”, you know you are in a bit of trouble. There are currently three main areas in which work is being done. Bookworms Cafe. Furniture is being moved in today and the Bookworms staff are working to get things in order. They have found a need to upgrade their electrical and re-install some plumbing which they anticipate will be done for a Tuesday opening. WooHoo! 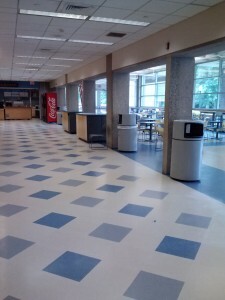 Check out the new floor…. 3rd floor carpeting. There has been some delays in getting to the floor, and the same glue that is used to make sure the carpeting sticks, is the same glue that is very difficult to get up. For both of those reasons we are behind schedule on the floor, and will need to extend the closure of the floor through Monday, June 24th. On that Monday it is likely that we will be able open the North section of the floor while they continue to carpet on the South side. 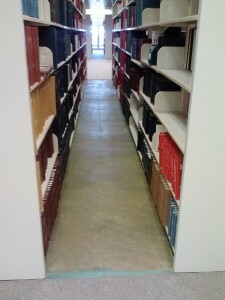 There will still be furniture all around and the serpentine seating will need to be reconnected, but we should be able to allow access to the areas, including the study carrels on the North side. If you are a carrel user on the South side and need to get to your carrel, please let us know. 3rd & 4th floor bathrooms. Unfortunately the tile project in both bathrooms has been stalled for two unanticipated issues. One is a discrepancy in the specifications of the tiles selected and a new tile needed to be chosen. That was done on Thursday so the new tile is now on order. The second issue that will take some time to resolve is the drainage in the floor. I won’t go into detail but what they have uncovered is that the older drains in the floor will not allow for the waterproofing to be done correctly and as a result they need to do something to mitigate that. It will likely take some time to figure out how to proceed so there is currently no estimation of when these might be completed. 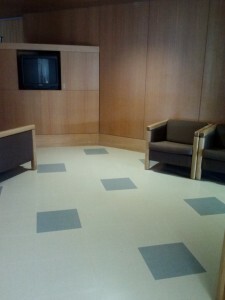 Flooring Update – Monday, June 3. The flooring company made great progress last week. 3rd & 4th floor bathrooms – Both have been successfully demo’d and it is expected that they will begin installing the new flooring later this week. 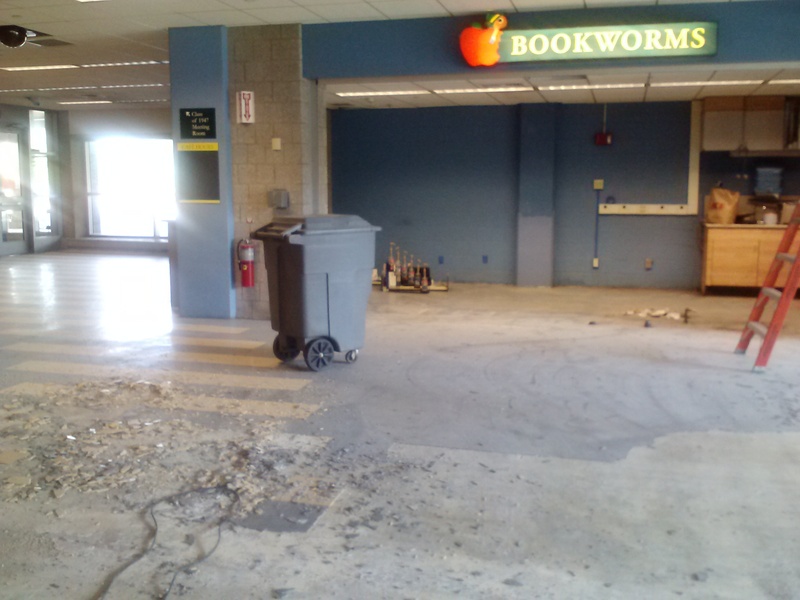 Bookworms – Demolition has taken longer than they expected, due to an incredibly stubborn glue from the last installation. As a result, they are behind schedule on this piece of the project. They will need to finish getting the tiles off the floor early this week and we are crossing our fingers that they can stay on track. However, realistically Bookworms will likely not be open on Monday June 10th. We will keep you posted on the progress of this. 3rd Floor – The next part of the project is the carpeting on the 3rd floor. As with much of the work needing to be done, this floor will be tricky. The intent is to do half of the floor at a time, with the remaining half for storage of the furniture that is currently on the floor. There will be an orchestrated effort to move the furniture as the flooring removal and installation moves along. Due to the inability for us to know exactly how this will all work, we are closing the 3rd floor to the public starting this Wednesday, June 5th through Friday, June 14th. If you have materials that need to come from the third floor stacks, please go to the iDesk on the Plaza level and they will assist. The Roper Center on the 3rd floor will still remain open during this time.